At some point in our lives, most of us experience the sense of God's absence. Rather than letting the distance widen, Michael Card says this is exactly the time for a deeper pursuit of God. The method he proposes is recovery of the profound, biblical practice of lament. Lament allows our sorrows and suffering to surface in free and courageous expression to God. Lament is the groan of the Holy Spirit within us: our cries and tears, our longing for God's forgiveness of our sins, His healing of our inner and outer wounds, and the mercy of His salvation. Lament is finding the language of the deepest contents of our hearts and pouring out our hopes and hurts before the Father. In The Hidden Face of God, Michael Card leads us through forty reflections that help us learn the lost language of lament. Journey with this popular artist and writer toward a more profound and intimate connection with the heart of God. 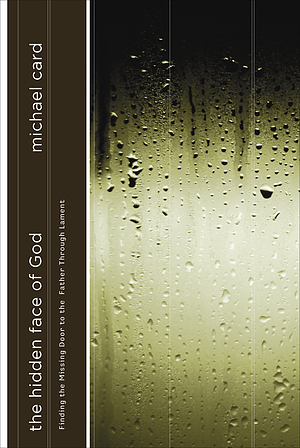 The Hidden Face Of God by Michael Card was published by Navpress in March 2007 and is our 25154th best seller. The ISBN for The Hidden Face Of God is 9781576836699. Be the first to review The Hidden Face Of God! Got a question? No problem! Just click here to ask us about The Hidden Face Of God.